Hope's Cafe: Best Bath Store Review! The Best Bath Store is a small business located in Woburn, MA. All of their bath products are handmade in small batches, to ensure customer satisfaction. The folks at the Best Bath Store were kind enough to let me pick 3 items to review. I picked out the Dead Sea Facial Scrub, Acne Treatment Gel and Dead Sea Mud Mask. 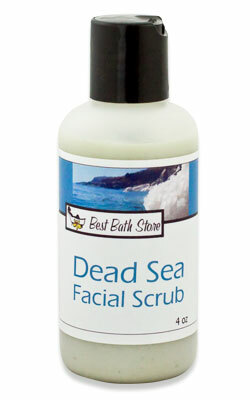 First I tried the Dead Sea facial scrub. This is definitely my favorite out of the 3 products I received! 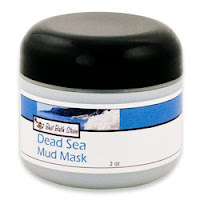 This is made with natural ingredients like Dead Sea mud and salts, and is a great exfoliator! I use it every other day, and it also helps with moisturizing my face. I can really tell a difference in my skin after having used this for a couple weeks. The Acne Treatment Gel is great for me, as I have dry, somewhat sensitive skin. 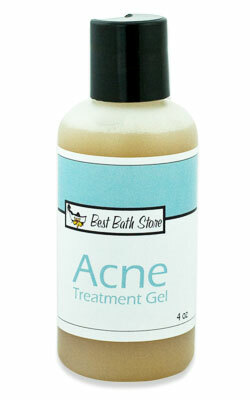 Again, this is made with natural products, so it is gentler on your skin than using just the average acne treatment. I also like that it is a light gel, easy to apply and dries within a few seconds. The ingredients include Manuka honey and aloe vera, which really help restore your skin to a smooth, healthy state! The gel can be used as a spot treatment, or apply all over the skin before bed. Lastly, the Dead Sea Mud Mask. This mask is supposed to draw out toxins and tighten your facial pores, while at the same time it infuses vitamins into your skin. I have to admit, this did not really work well on my skin. Like I said, I have sensitive skin, so I am guessing that is the problem. The mask is supposed to be left on for 15-20 minutes, but after about 2-3 minutes, my skin started burning. After cleaning the mask off, my face is very red and aggravated. Other people have posted reviews on the website that really liked this product, so I honestly think it's just my skin type. So, if you have sensitive skin, I'd be careful using this...otherwise, it seems to be a great product with some very positive reviews. The Best Bath Store also sells hair care products, bath and body, gift baskets, and they are currently working on a specialized line for men. If you're looking for some natural bath, skin or hair care products, why not check out the Best Bath Store today!